Welcome in 2011 by discovering the astonishing Stone Age on a walk around the ancient monuments of the Stonehenge landscape. Why did people start to build massive monuments 6,000 years ago? Discover the astonishing Stone Age on a relaxed ramble around Stonehenge Down. Our six mile route will take us to Neolithic enigmas including Durrington Walls and the Stonehenge Cursus. Wrap up warm against the January weather – we recommend plenty of layers and stout footwear. Bring a packed lunch and a hot drink. Meet at the Stonehenge car park (not NT) by the bright green National Trust information panel on the grassy area of the main car park. Access is by pedestrian and farm gates; the terrain is grassland and trackways, often uneven underfoot. Cattle and sheep graze the gently sloping downs. I went to Stonehenge this morning hoping to witness the Lunar eclipse between 7.30am and 8am. Sadly there was freezing fog and a snowy sky? It was a pleasant surprise to find that English Heritage decided to grant access into Stonehenge today as well as tomorrow (22nd) There were a few hundred ‘happy’ people, a pagan wedding and a small Druid ceremony. It was extremely cold but well worth it. I have uploaded these photos for your perusal – hot off the press! 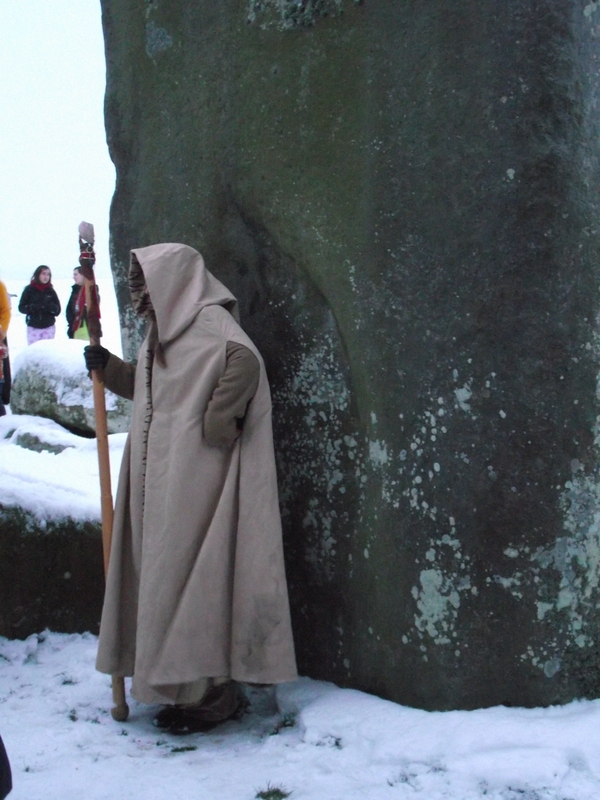 They anticipate 2-3000 people for tomorrows Solstice celebrations – See you there! 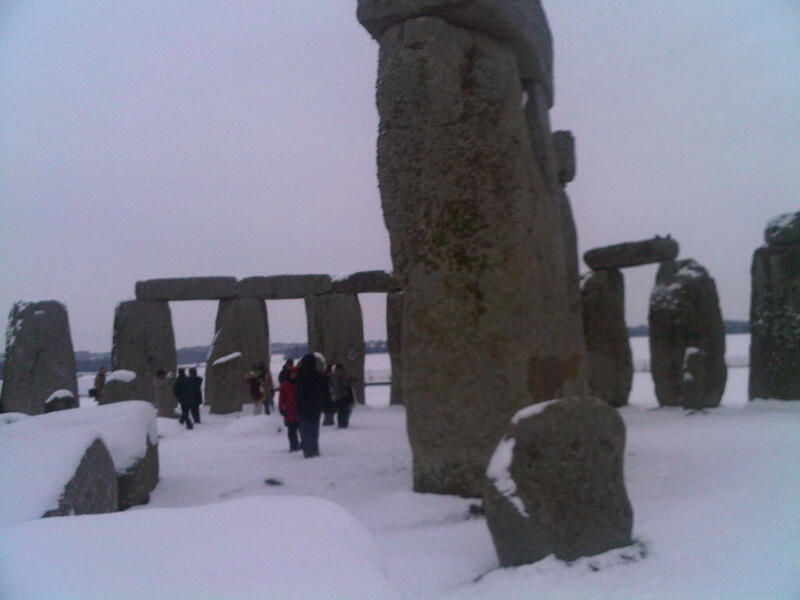 THE winter solstice will be celebrated at Stonehenge on Wednesday. Sunrise is at 8.09am on December 22 and visitors will be able to access the monument as soon as it is light enough to do so safely. Entrance is free and will be available from roughly 7.30am until 9am, when the site will close to visitors before re-opening as per usual at 9.30am. This photo was emailed to me yesterday ? A date for the diary, that is if you are prepared to face the winter snow, but perhaps in the circumstances it would be wiser to stay at home and celebrate the Winter Solstice safely there! 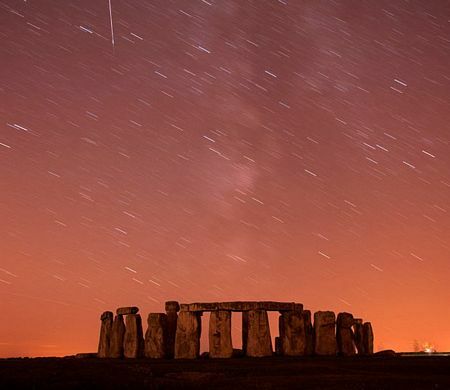 THE winter solstice will be celebrated at Stonehenge on Wednesday. Sunrise is at 8.09am on December 22 and visitors will be able to access the monument as soon as it is light enough to do so safely. Entrance is free and will be available from roughly 7.30am until 9am, when the site will close to visitors before re-opening as per usual at 9.30am……. There is no public transport to Stonehenge at that time of the morning and parking is limited – you have been warned! Avebury Stone Circle could be a safer alternative ? Lovers of the night sky could be in for a treat tonight as clear conditions are predicted for one of the best astronomical shows of the year. Some experts believe the annual Geminid meteor shower is becoming more spectacular – though if it is, nobody is sure why – and with cloudless skies possible in many parts of the country, this year’s event could be a particularly memorable one. At its peak and in a clear, dark sky, up to 100 meteors – or shooting stars – may be seen every hour. The best time to see it is expected to be late on Monday night and in the early hours of Tuesday after the moon has set. In comparison with other showers, Geminid meteors travel fairly slowly, at about 22 miles per second. They are bright and have a yellowish hue, making them distinct and easy to spot. Meteors are the result of small particles entering Earth’s atmosphere at high speed, burning up and super-heating the air around them, which shines as a characteristic short-lived streak of light. In the case of the Geminids, the debris is associated with the asteroidal object 3200 Phaethon, which many astronomers believe to be an extinct comet. • Stonehenge area in Wiltshire – chalk downland and crystal clear skies. Teign Valley in Devon, within Dartmoor national park. • Penbryn Beach, on the Ceredigion coast in west Wales. • Wicken Fen nature reserve in Cambridgeshire – dark skies and nocturnal wildlife. • Mam Tor in Derbyshire, an escape from the bright lights of cities such as Sheffield. • Friar’s Crag in Cumbria, jutting out into Derwentwater. Woodhenge: Is this one of the greatest discoveries of archaeology…or a simple farmer’s fence? The discovery of what appeared to be a previously unknown ‘henge’, or earthwork, by a team of archaeologists conducting a multi-million-pound study of Salisbury Plain was widely reported amid great excitement. The team said they had found evidence of a ring of 24 3ft-wide pits that could have supported timber posts up to 12ft tall, surrounded by an 80ft-wide ditch and bank. They explained that, just like Stonehenge, the entrances to the site were aligned so that on the summer solstice the sun’s rays would enter the centre of the ring. 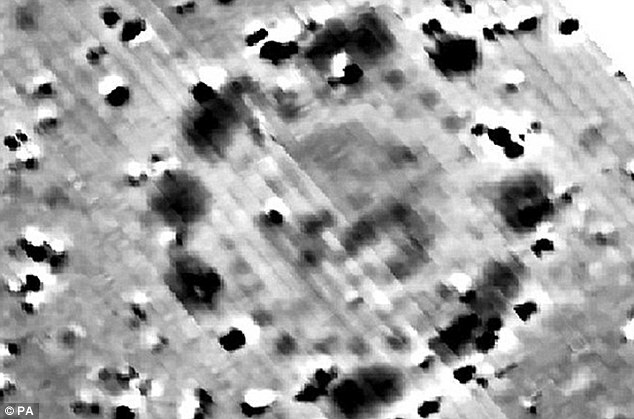 Holes where the wooden posts once stood were identified below the ground using the latest high-resolution geophysical radar-imaging equipment. 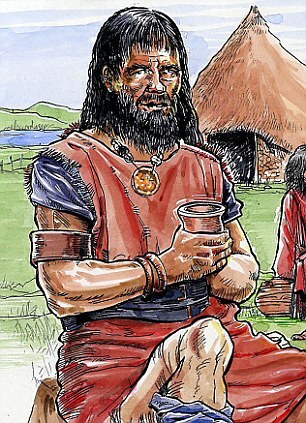 Team leader Professor Vince Gaffney of Birmingham University said the ritual monument had been built about 5,000 years ago, making it roughly the same age as its stone counterpart 980 yards away, and it could have been used for Stone Age feasts or elaborate funerals. He said the find showed Stonehenge had not existed in ‘splendid isolation’ and he predicted further discoveries during the three-year survey of five square miles of countryside around Stonehenge. But sceptics have now suggested that the evidence is far from conclusive, especially as it appears from images of the plot produced by the Birmingham team that the ring of post holes was not arranged in a circle but was angular and more like a hexagon. Mike Pitts, editor of the magazine British Archaeology and an acknowledged expert on Stonehenge, said he had been prompted to study maps of the area after receiving a letter from an American reader. colleagues examined a Seventies Ordnance Survey map – and saw a fence marked out. He thought it probably was an early 20th Century construction, erected by the then Government’s Office of Works or a local farmer to protect what was thought to have been the most important site in a cluster of burial mounds that were ancient but later than Stonehenge. Mr Pitts said: ‘Vince Gaffney says his discovery encircles a burial mound within its circumference, but unless he has some unpublished material to substantiate his discovery, I am in no doubt that this was a modern fence line. He added: ‘I think that perhaps what has happened is that the professor’s field workers have presented him with the wrong picture and he’s shot from the hip and made an over-hasty announcement. He’s generally known for the high quality of his work and his enthusiasm which, on this occasion, may have let him down. He said that in the fuzzy, black-and-white radar image the post holes appeared angular but that was partly due to the poor resolution of the picture and because such monuments were not perfect circles. I love it when the ‘experts’ use the term ‘ritual‘ – in other words they do not know!